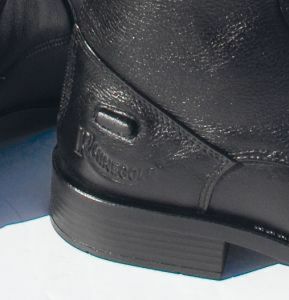 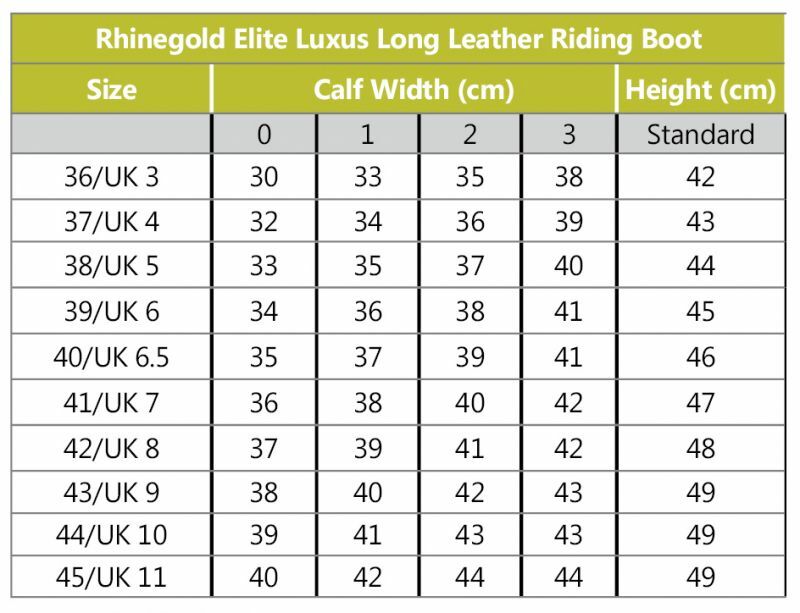 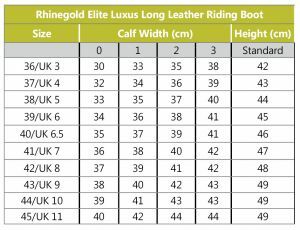 These luxury feel boots are made in soft feel leather giving the upmost comfort to the wearer .They feature an elasticated front lace detail and stitch detail on the toe cap. 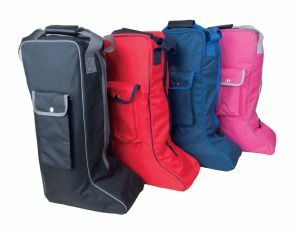 With a user friendly wider smooth feel zip pull and two pleated, elasticated leather sections at the back of the boot for a comfortable fit. 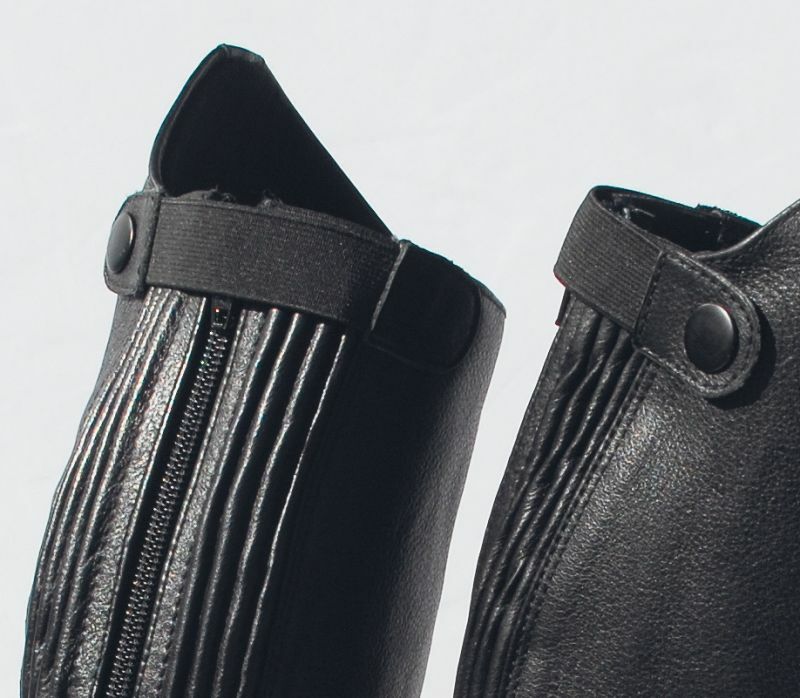 The top of the zip is finished off with an elasticated strap and plain black press stud to the side. 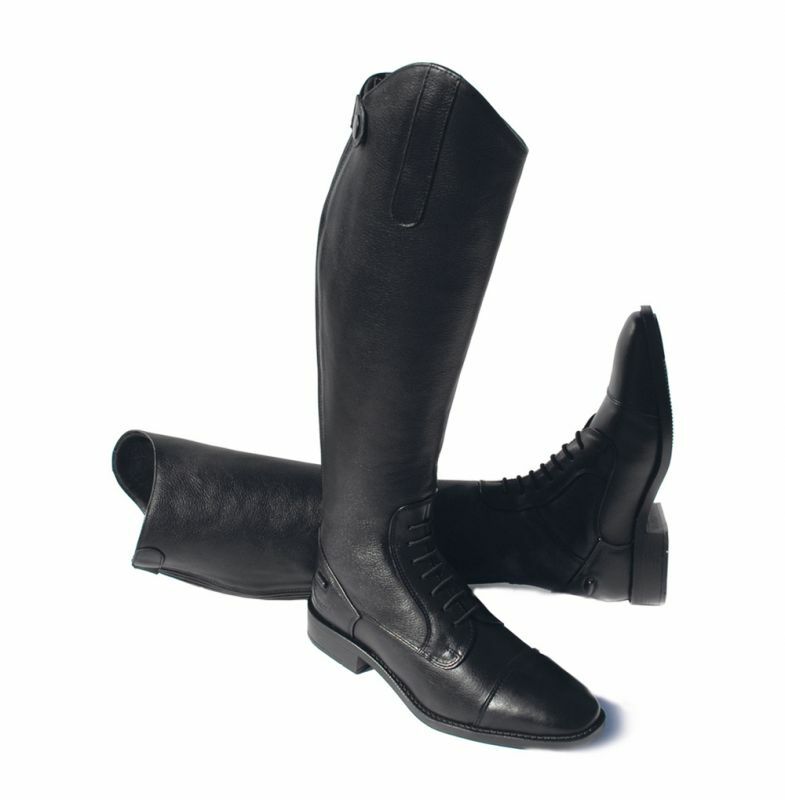 With spur guards and a sure grip sole these boots are practical as well as gorgeous to wear.